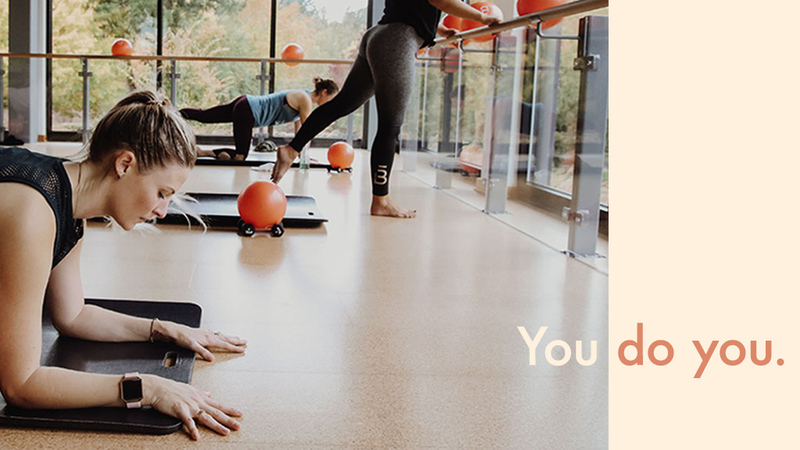 At barre3, we’re on a mission to help people feel empowered from within—but what does this mean, and how do you get there? Just like our class, there’s not a one-size-fits-all answer. Discovering your inherent strength can happen in a million different ways, but no matter how you get there, the end result is the same: When you’re empowered from within, you look inside yourself for answers and trust that you are your own best teacher. In our Empowered Women We Love series, we talk to inspiring women from our diverse community who have tapped into their inherent strength to lead a life that’s empowered from within. As a company that’s obsessed with the power of breath, we’ve been huge fans of Ashley Neese since the moment we first learned about her. A renowned breathwork teacher and author of the soon-to-be-released How to Breathe, she helps her clients use their breath to cultivate resilience, feel grounded in their bodies, and trust their intuition. We talked to Ashley about how she first discovered the power of breathwork, what her practice looks like today, and what she’d recommend for someone looking to start a breathwork practice. BARRE3: Can you talk a bit about your journey to discovering the power of breathwork? ASHLEY: I discovered the power of the breath in my early 20’s through yoga and meditation. At the time I was newly sober and actively seeking practices that would help me learn to inhabit my body instead of constantly checking out or numbing myself. In the beginning of my recovery I found my way into a Hatha yoga class and immediately fell in love with the practice. At the end of my first class I remember feeling just a little bit at peace in my body and that was enough to keep me coming back to the practice day after day. Over time, that small amount of calm grew and has continued to evolve and expand. At its root, addiction is a disease of isolation. Learning to ground myself through breathwork, meditation, and yoga postures increased my ability to be vulnerable and develop a community of friends who were on a path toward healing and radical self-care. After 10 years of dedicated yoga and meditation practice, I made the choice to go deeper in my studies of the breath because I knew firsthand how much connecting to my breath changed my life. What I love about breathwork is that it is the foundation for life, and the way that we breathe is very much the way that we live. I’ve discovered that when we cultivate a daily practice of touching into that foundation, the possibilities for our growth and expansion are only as limited as our beliefs about ourselves. BARRE3: What does your breathwork practice look like these days? ASHLEY: My breathwork practice has shifted a great deal over the years as I’ve shifted. An essential key to any intentional practice is to be gentle with ourselves and flexible. Before I was a new mother, I had a very regular practice of about 10 minutes in the morning and 20 minutes in the evenings, either in my bedroom or the meditation room (which is now our son’s room!). Some version of that worked for me for years. I typically started the day with my Grounding Breath practice to start the day with intention and focus. In the evenings I liked to practice the Cleanse Breath to let the day go and prepare myself for a deeper state of rest. Now that I’m the mother of an incredible and very active 4.5-month-old I honestly just practice where and when I can each day. Most days that looks like 20 minutes of Gratitude Breath with some restorative yoga postures after my son goes down for bed in the evenings. Other days that looks like a five long exhales out of my nose in the shower to give myself a reboot. BARRE3: What are the greatest benefits of breathwork? ASHLEY: For me the greatest benefits of a consistent (with gentleness and flexibility of course!) breathwork practice are a clearer mind, a more regulated nervous system, anxiety and stress relief, and strengthening my intuition. BARRE3: If someone is interested in starting a breathwork practice, where would you recommend they start, and what advice would you offer for sticking with it? ASHLEY: I always suggest to keep it really simple when starting a practice. It takes a while to build new habits, and the more we can integrate our practice into our lives right away, the more sustainable it will be. For example, if you know that it’s going to be the easiest for you to practice in the morning before work, then start there. I always say that the most optimal time to practice is the time that you are actually going to do it! As far as the breathing goes, an extended exhale practice is a great place to begin. Simply inhale through your nose for 1-2 counts, pause for a beat, exhale out of your nose for 3-4 counts, pause for a beat, repeat for 5 minutes. This extended exhale practice is an excellent way to settle stress, refresh your mind, and give your body a bit of rest. Try this every day for a week, and see what you notice! The great thing about about breathwork is that it is portable, so you can practice at different times during the day or whenever you need it. If you want to dive deeper into breathwork my new book How To Breathe is now available for pre-sale and is available for purchase April 2nd in hardcover and audio. This book walks you through the anatomy of the breath and the science behind it, and it shares 25 practices to support holistic wellbeing. Thank you, Ashley, for sharing your breathwork journey with us, and for your advice on how to start our own! 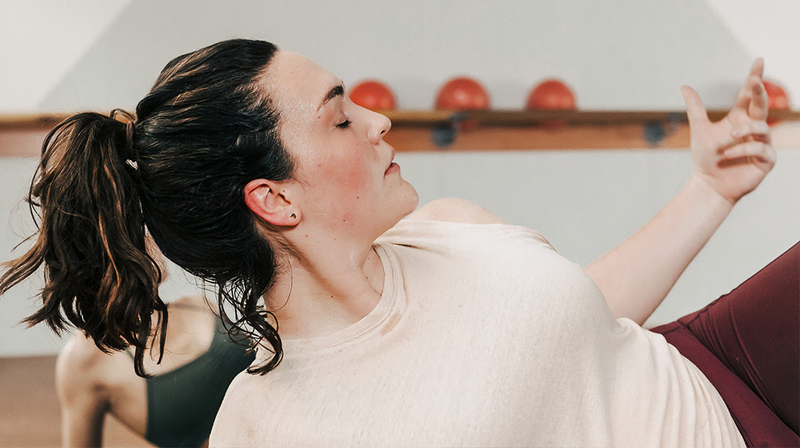 We incorporate guided breathwork into each and every barre3 class. To feel its incredible effects, book a studio class or do an online workout today!